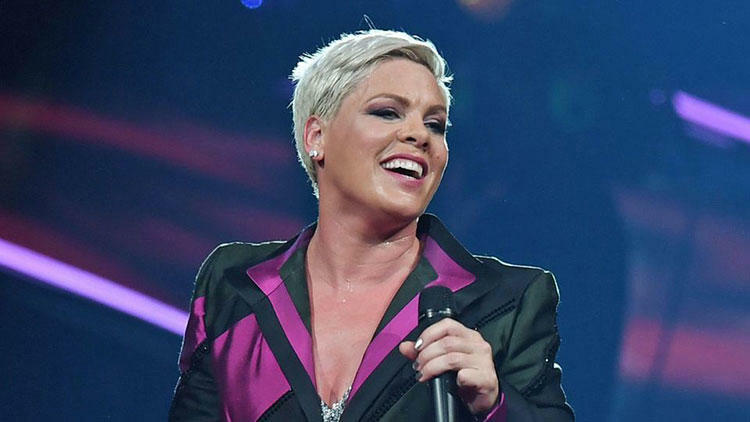 Singer Pink has been given her own Hollywood Walk of Fame Star in a ceremony held today. Many celebrities, family members and friends were in attendance, including Ellen DeGeneres. 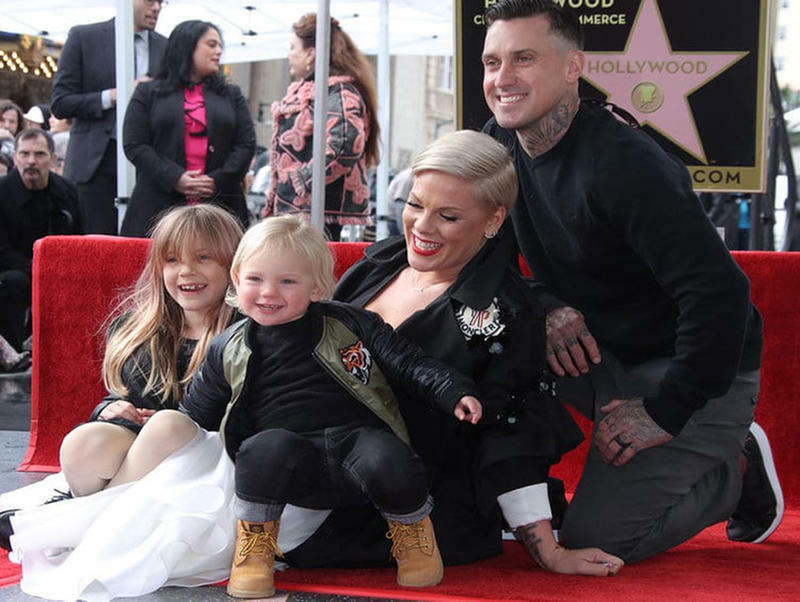 Pink, 39, was there with her two year old son Jameson and husband Carey Hart. "Wow, thank you. Thank you for standing out int eh rain. This is surreal. This is really... I feel like I'm dreaming and if anyone pinches me I'm going to punch them in the left eyebrow," she said in an address to the crowd. She continued after a while, "Today, for me, is a celebration of something that my dad taught me, and that is, 'To thine own self be true.'" "And my husband. He's so cute, he's my muse and if he didn't piss me off so much, I'd not have a lot to say. Thank you. I literally wouldn't be standing up here if it weren't for you, so don't change. To my children, Willow Sage and Jameson Moon, you guys are my stars and I would never shine without you. Everybody, thanks, I love you."